At Bloom Eye Associates, Jeremy Aikey, D.O. is dedicated to helping patients with advanced treatment of age-related macular degeneration, as well as diabetic retinopathy. 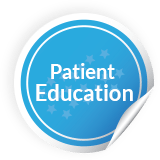 Our comprehensive treatment includes anti-VEGF (vascular endothelial growth factor) drugs that we administer right in our Philadelphia ophthalmology office. Age-related macular degeneration is a common eye disease associated with aging that can destroy sharp central vision. Macular degeneration may be detected early during a comprehensive eye exam, and prompt treatment may prevent further vision loss. There are two types of macular degeneration: dry and wet. Dry macular degeneration is the most common type of macular degeneration, which begins with the partial breakdown of the structure that helps regulate the retinal metabolism. The retina thins and dry macular degeneration results when the light sensitive cells in the macula break down, causing gradual central vision loss. In some individuals, tiny dot-like deposits, known as drusen, slowly accumulate beneath the macula – a small area of the retina responsible for central vision. While these deposits usually do not cause visual loss directly, they indicate that a person is at risk for developing further problems with the macula. 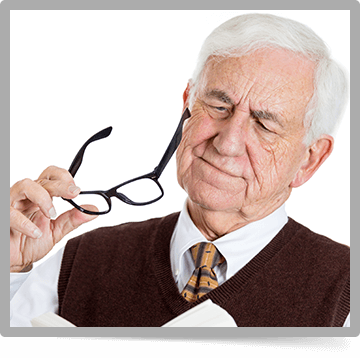 Dry macular degeneration may or may not turn into wet macular degeneration. Wet macular degeneration, also referred to as advanced macular degeneration, is another type of macular degeneration. It occurs when abnormal blood vessels grow underneath the macula. These new blood vessels are fragile. They may break and leak blood. The blood builds up and a mound of scar tissue develops that raises the macula from its normal position. Wet macular degeneration can cause severe rapid central vision loss. For the most advanced treatment of macular degeneration in Philadelphia, call Bloom Eye Associates at (215) 483-8444 or request an appointment online.